A fun day of activities and events for all ages! 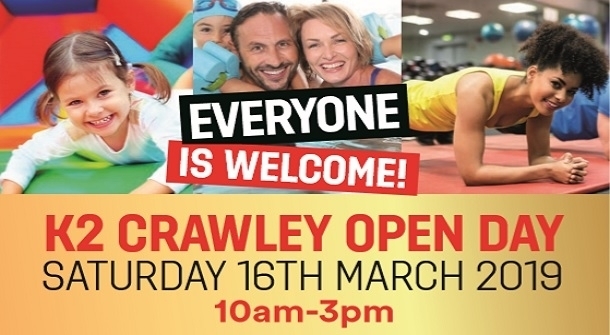 Come along to K2 Crawley on Saturday 16th March to celebrate and join them at their free family open day. Don’t miss out on the opportunity to make the most of K2's facilities and meet the special guests for the Open Day, Singer / Songwriter Fleur East and World Championship Silver Medallist Diver Matty Lee! There is also a £3,000 Prize Draw Giveaway!